South Florida's Best Limousine Service For Over 23 Years! Above All Limousine & Airport Transportation Services provides South Florida with the Top Rated Ultimate experience in luxury transportation for 23 years. Above All Limo has excellent service that you expect. 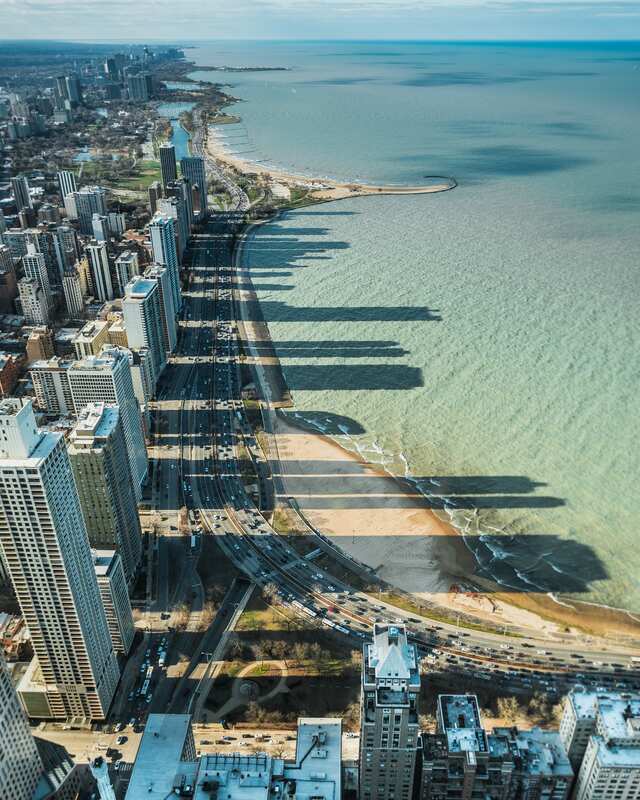 Our drivers are experienced and you’ll notice the difference. Our sedans are luxurious. Above All is affordable and dependable. It is what you deserve. Fifteen years we have been using these guys. Never had a problem. My company located in Coral Springs also uses Above All for its corporate travel. highly recommended.They are professional & always on time. 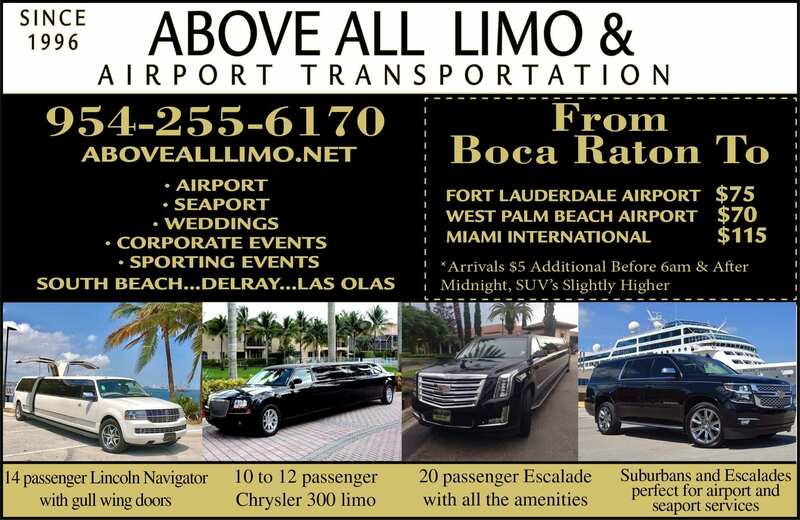 Above All Limousine & Airport Transportation Service serving South Florida for 23 years. 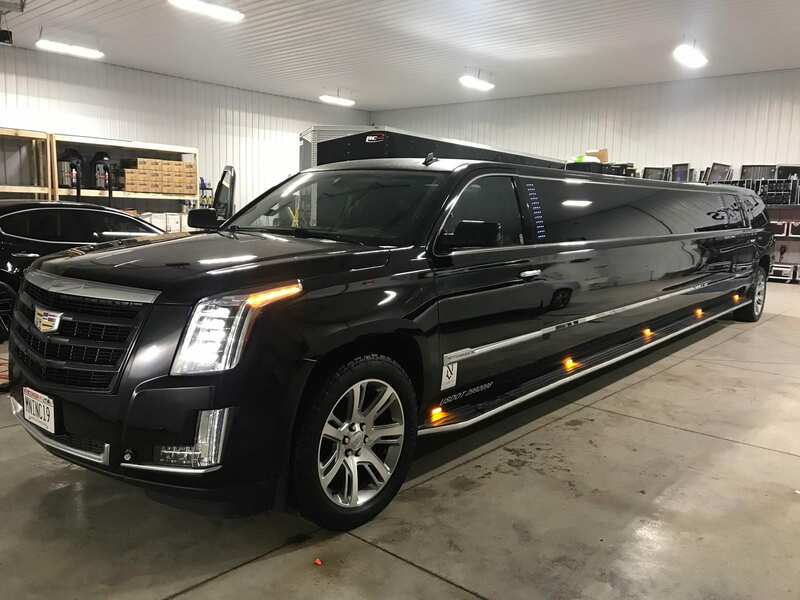 Stretch Limos, Mercedes Sprinters, Stretch Cadillac Escalade, Chrysler 300’s, Lincoln Town Cars, Suburbans, available for all events including, Weddings, Proms, Anniversaries, Concerts, Sporting Events, Bachelor /ette, Homecomings, Night on the Town. Above All Limousine is the right choice for the Ultimate Car Service. We strive to provide you with the best service that you deserve. Please call us at 954-255-6170 for more info. Located in Coral Springs / Parkland for 23 years. Whether you are need of a town car for airport transportation or a stretch limousine with lights, music, and amenities. Use one our brand new, latest vehicles from our fleet for any occasion. 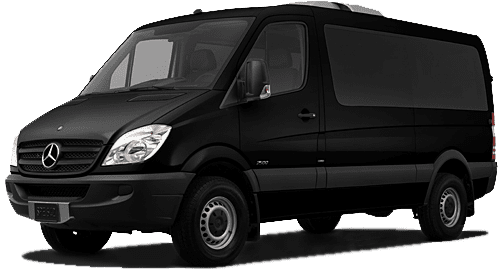 Weddings, Corporate Events, Airport and Seaport Transportation services, Night Out On The Town, Sweet Sixteen Parties, Bar/Bat-mitzvahs, Concert Events, Sporting Events, Birthday Parties and or any celebration, you can count on us. Quality of Service, Reliability, and Trust are the qualities that places us higher than our competitors. Allow us to make your event magical and memorable because we strive for excellence because you deserve nothing less. Above All Limousine and Airport Services’s main goal is to provide you with the ultimate transportation service that you deserve. Safety is our main concern, while we exceed your transportation goals. Airport Service to or from Hollywood Fort Lauderdale Airport. Miami International Airport & Palm Beach International Airport. Above All Limo is uniquely qualified to service all your corporate transportation needs. We are a limo and airport transportation company that exceeds expectations. 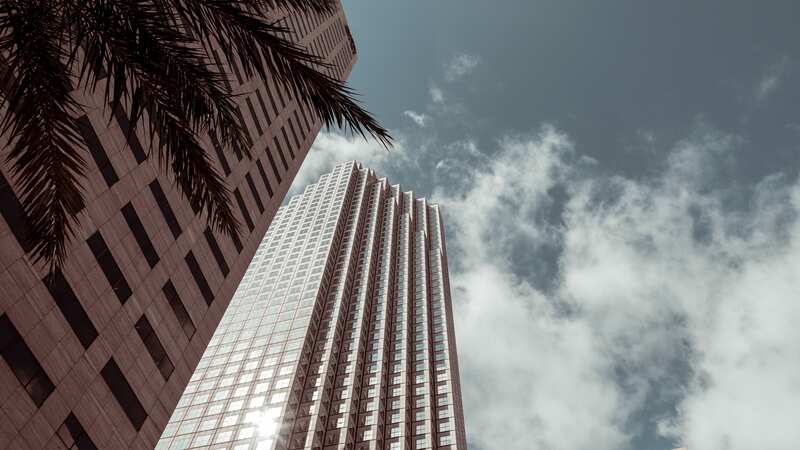 We service all major airports, MIA-Miami International Airport, FLL-Fort Lauderdale-Hollywood International Airport and PBI-Palm Beach International Airport. Taking your family on a cruise. Call us for your transportation in one of our 15 passenger vans or large suburbans. 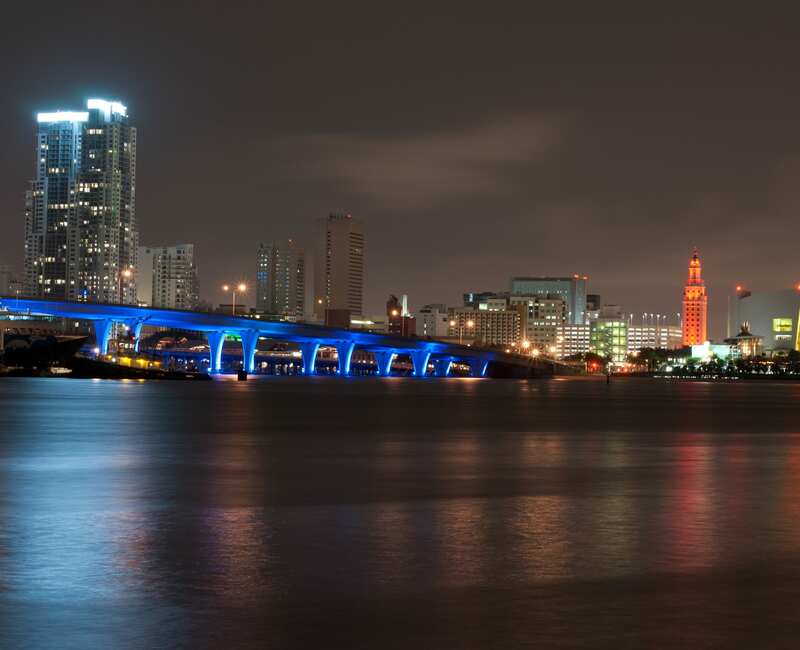 We can take you to Port of Miami or Port Everglades and you can relax in our vehicle. Or if you want to go in style rent a beautiful limousine.